Johanna Ivaska, Academy Professor of Biochemistry has been appointed Head and VP of Oncology Research at Orion Corporation, from 1 October 2018. Ivaska joins Orion from the University of Turku and will continue working also there with her internationally recognised research team. In the role of Head and VP of Oncology Research in Orion R&D, Ivaska will have all oncology discovery directly reporting to her. In addition, she will act as the Director of Orion Research Center for Biotechnology and Translational Research in Turku. Ivaska will report to VP, R&D Global Head, Therapy Area Oncology, Professor Heikki Joensuu. 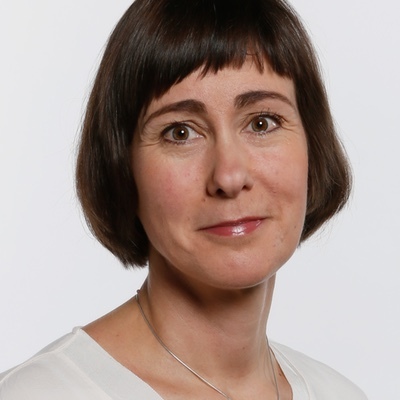 Professor Heikki Joensuu, R&D Global Head, Therapy Area Oncology at Orion, said: "Johanna Ivaska has an outstanding career in science and she is a widely recognized scholar internationally. In particular, she has an exceptional ability to be creative in her science, which skill is highly appreciated when developing novel drugs for serious diseases, such as cancer. Oncology is one of Orion's main focus areas in the pharmaceutical Research and Development. Johanna Ivaska will have an important role in shaping the aims and structure of Orion Oncology." Ivaska is an internationally distinguished researcher specialising in the role of cellular changes in metastatic development in cancer. The innovative approach of her research will provide significant new data on the migration and traffic of cancer cells in tissue. Ivaska's research is anticipated to lead to scientific breakthroughs in biomedicine, a very topical field of research today. Twice during her career, Ivaska has received research funding awarded by European Research Council (ERC), which is among the most notable grants in the world and highly competed. Ivaska and her academic research team are also the recipients of many scientific awards including most recently the Medix prize 2018 for the best scientific publication in medicine in Finland and in 2017 the prestigious AI Virtanen prize for internationally recognized excellence in research. Ivaska commented: "As a scientist, I have been passionately tackling biomedical research questions for more than 20 years. Every new drug is based on curiosity driven fundamental research. However, drug development requires resources and know-how beyond academia. With my new appointment, I will have the opportunity to contribute to the other end of the process, pharmacological therapy.